EC00021c. Early sepia portrait photograph. 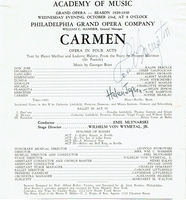 Carmen program page, Philadelphia Grand Opera, October 23, 1929. 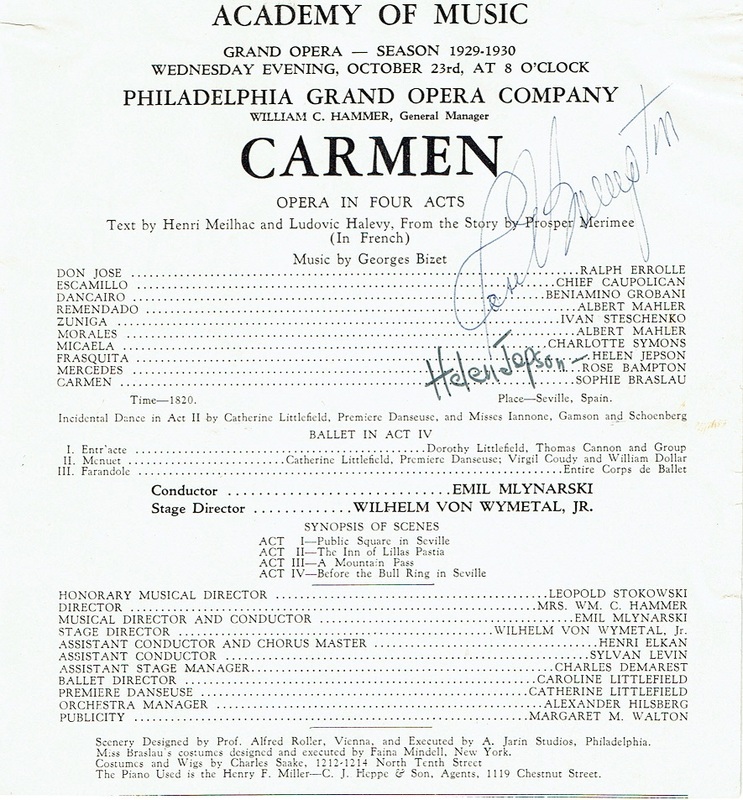 Autographed by Rose Brampton and Helen Jepson.